Have you written a will? Its contents may not matter when it comes to many of your assets. A jointly owned house or bank account will automatically pass to an heir; the joint title also includes an automatic right of survivorship. Also, accounts such as 401(k)s, IRAs and life insurance policies include beneficiary designations, which when correctly completed will also take the place of designations in a will. That means you need to keep those documents up to date. If beneficiary designations don't reflect changes in your family, the wrong person will inherit assets, regardless of what your will may say. Perhaps you specifically named your children as beneficiaries on your life insurance policy, then had another child. Without an updated beneficiary form, your youngest will not receive any share of the life insurance. Also, if beneficiary forms are not updated after a divorce, an ex-spouse can receive the proceeds from life insurance or an IRA. According to federal law, if you are married, your spouse will automatically inherit your 401(k) plan account, whetever your will states. So a new spouse can inherit all of your 401(k) plan account, cutting out your children from your first marriage. If you want to leave your 401(k) plan to your children instead, then your new spouse must sign a notarized consent to allow you to designate non-spouse beneficiaries on employer provided retirement and pension plans. 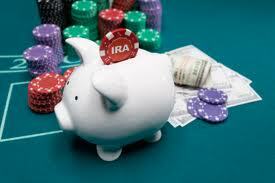 But this law generally does not apply to IRAs. Primary beneficiary: Failure to name a beneficiary for IRAs usually means the assets go to your estate, and that can cost your heirs dearly. That's because if you hadn't already started taking required distributions from an IRA by the time of your death, the IRA assets must be distributed to your estate's heirs within five years of death. If you had started, required distributions must be paid out to the heirs over what would have been your remaining life expectancy. Either way, this omission deprives the heirs from "stretching out" the tax-deferred assets over their own lives and creates a bigger tax bite. Contingent beneficiary: Using this tactic, the older primary beneficiary can decide to disclaim the IRA if he or she doesn't need the money so that it can then automatically pass to the contingent beneficiary, who typically is younger and can stretch out the IRA distributions over a longer life expectancy. Name the right beneficiary: Your spouse isn't always the best choice to name as the primary IRA beneficiary. An adult child might be a better choice but usually not a minor child. Or, when minor children are involved, a trust might be the best choice (although that's a complicated decision that requires professional guidance). Also, consider naming children as contingent beneficiaries in case you and your spouse pass away at the same time. Keep designations current: Don't forget to update your beneficiary designations in the event of a marriage, divorce, birth of a child, death of a beneficiary or similar circumstances. Consider multiple IRAs: If you have a single large IRA but want to bequeath its assets to multiple heirs and a charity, consider splitting the IRA into separate IRAs: one for the charity and perhaps one for each heir (especially if their ages are significantly different). Naming multiple beneficiaries of a single IRA can accelerate the required taxable distribution of the IRA to the heirs rather than allowing them to take taxable distributions over longer periods of time. On the other hand, if you have multiple IRAs but not multiple heirs or charities, consolidating them can reduce paperwork and custodian fees and make it easier to track investments and calculate minimum distributions. Just because federal law allows you to choose certain options with your IRA doesn't mean the financial institution that acts as your IRA custodian does. The custodian might not allow you to stretch out the payments with your children or grandchildren, for example, or allow the descendants of a deceased beneficiary to receive that heir's share if the IRA has other named heirs. The options are spelled out in the custody agreement. Seek professional advice: The best advice is to seek the counsel of a qualified adviser or lawyer to help you review the titling and beneficiary designations of all of your property, life insurance and retirement accounts to ensure these designations, which can affect the majority of what you own, are consistent with your wishes.